This is true vacation. Two weeks away from the trappings of home life, immersed in a different culture, and transported to a Costa Rican tropical climate is enough to slow down and let life just happen. Or is it? The realities of the intense sun and heat relegate any rigorous exercise to the early hours of the morning. We're talking 5:30am, to get the maximum amount of pre-sun time. It plays perfectly into my preferred workout routine, so I happily hit the trails for a run at first light. The ocean is at its quietest in the mornings, so I plunge in for my open water swim. 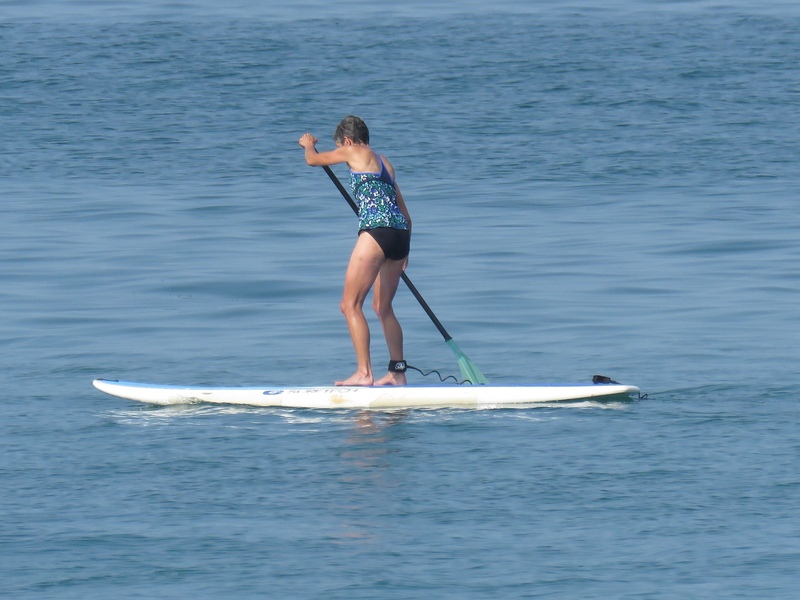 I may follow that with a kayaking adventure, boogie boarding or my first attempt at stand up paddleboarding. But even after all that, the clock barely registers 10:00am. 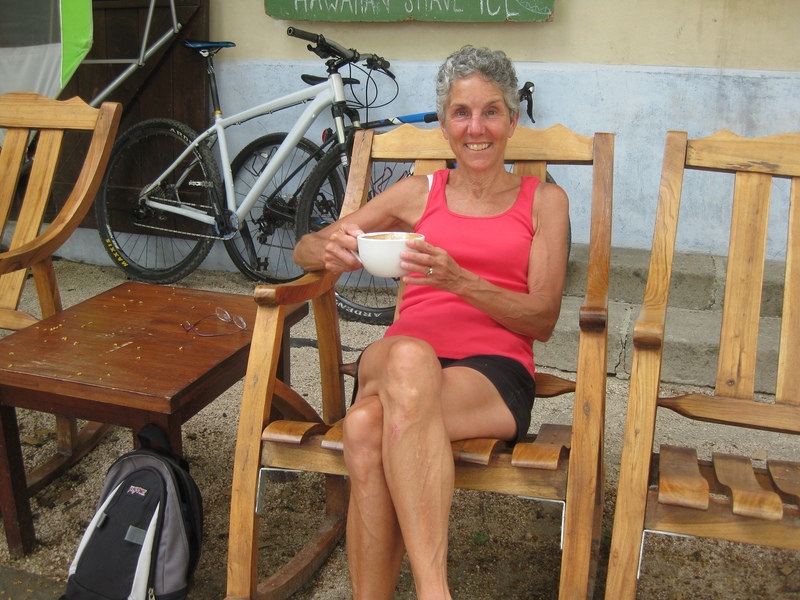 I linger over breakfast then stretch out my daily latte at Pura Vida Ride with some solid reading time in one of the shaded wooden rockers overlooking the beach, basking in the rising ocean breezes. I'm doing pretty well at this relaxation thing, I think. And then it kicks in. The need to do something. That irrepressible drive and desire to accomplish. Afternoons are best spent out of the sun, engaging in less strenuous pursuits. What could be more fitting than doing a bit of writing? Being practical, I have carefully arranged story deadlines around this juncture. Yet here I am with time on my hands that needs filling. 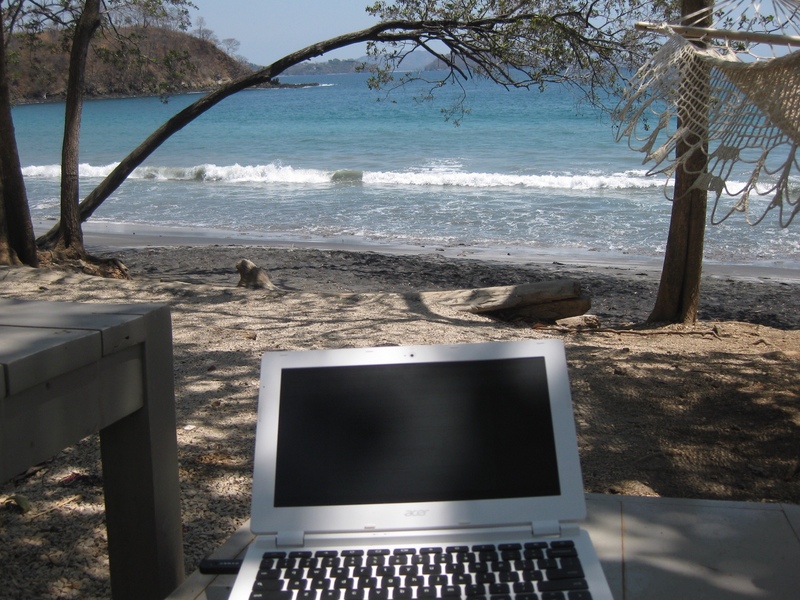 I soon find ways to incorporate my vacation surroundings with writing. New venues for pursuing my craft materialize. Inspiration springs forth. And the occasional iguana saunters by. One contest entry and two magazine story submissions later I'm feeling pretty good about this writing interlude. I'm right on target with my goals to get my writing in front of new editors and contest panels each month. And I've done some tinkering on my book as well. Who says vacation has to be all play and no work? 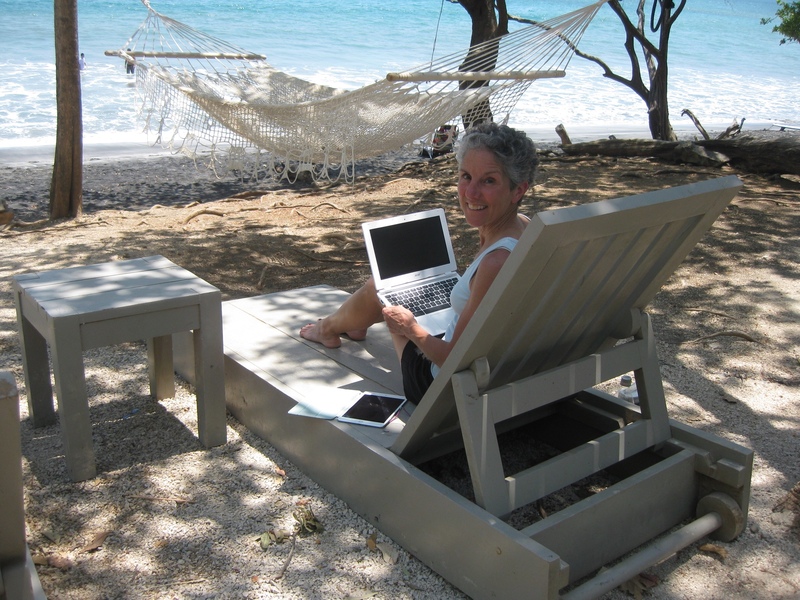 I'm quite pleased with my tropical writing retreat. 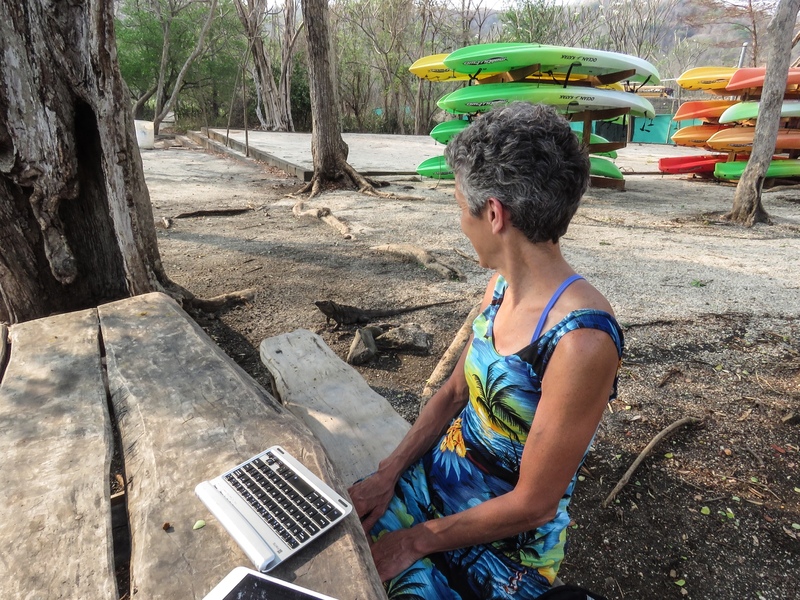 This entry was posted in Travel, Writing and tagged Costa Rica, Travel, Writing by Molly. Bookmark the permalink.